Hiking in Peru should be on the travel bucket list of every adventurous spirit. It’s home to rich natural diversity, from the Peruvian Andes to the Amazon, to amazing coastlines – not to mention the ancient civilizations it holds! The main attraction is Machu Picchu, but there are other attractions as well. A single or short visit simply isn’t enough. Below is a list of some of Peru’s best hikes (that’s not just Machu Picchu). It will give you some of the most unforgettable experiences you’ll have in a lifetime. Keep in mind, however, that hikes that go through the Inca trail require permits and arrangements with tour agencies. So, better make the necessary reservations and bookings ahead of time! 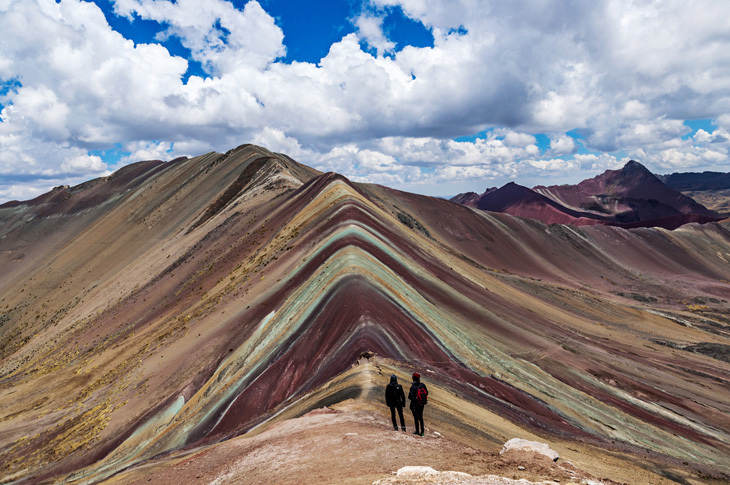 Vinicunca, or as most of us know as “the rainbow mountain,” is a unique landscape of different colors. Most packages to see the rainbow mountain require at least six days of hiking or as part of the Ausangate Trek. However, there are now some itineraries that allow you to get here in a day trip.It’s a moderate to difficult trek which may require some level of physical fitness, but the view will totally be worth it. The starting point is about 3 hours from Cusco. Then, along with your hike to the rainbow mountains, you will pass through quaint villages, herds of llamas, a consistent and spectacular view of the Ausangate Glacier. You will also meet some locals along the way. The best time to visit this region is during Cusco’s dry season, which is from May to October. However, June seems to be best because it offers more bright days and chances of rain are low. The blue sky will make the colorful mountains pop even more. 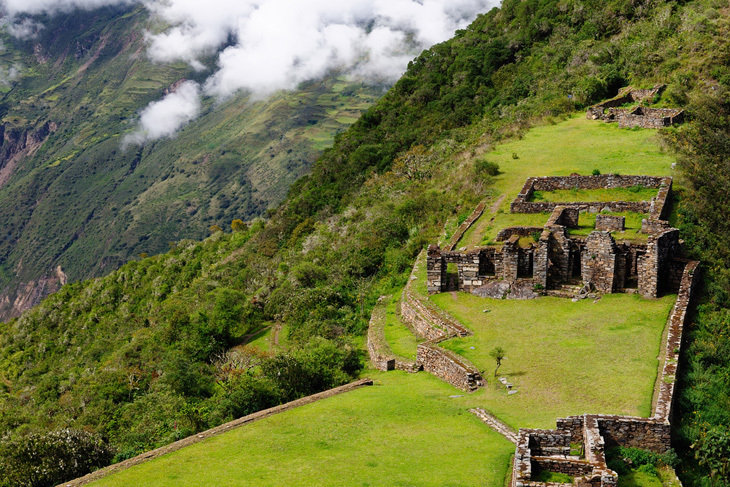 Choquequirao is another Incan City that is over 3000 meters above sea level. It may not be as popular as Machu Picchu, but it’s well worth the visit. But even better news is that you can hike Choquequirao to Machu Picchu, so you get the best of both Incan cities. However, it’s not for the faint-of-hearts. The trek to Choquequirao, then to Machu Picchu is at least an 8-day journey. It starts from Cusco to Cachora, which is at least a 4-hour drive. Then from Cachora, you will begin hiking to Chiquisca, which is around 5 to 6 hours. The next day, you can begin your 7-8 hour hike from Chiquisca to Choquequirao. Each day up to the day you’ll get to Machu Picchu is around 6-7 hours from one point to the next, so pace yourself! 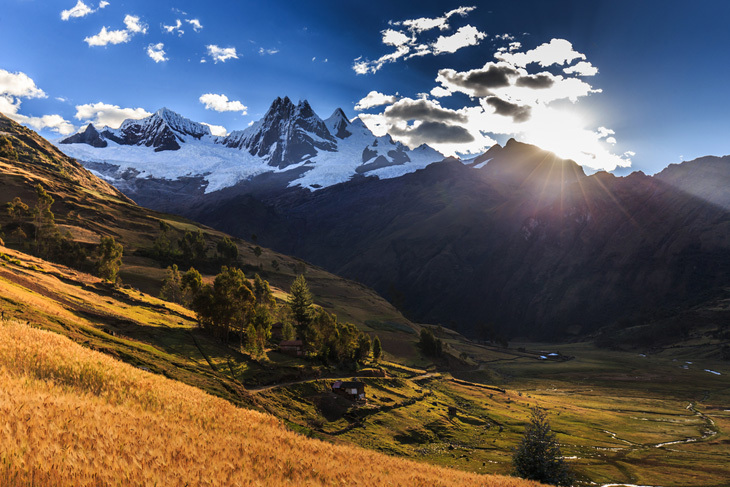 Another thing Peru is known for, aside from Machu Picchu, is the Cordillera Blanca. It means “white range,” and it’s the highest tropical mountain range in the world. It’s part of the larger mountain range, Andes Mountains, which is runs through seven South American nations. 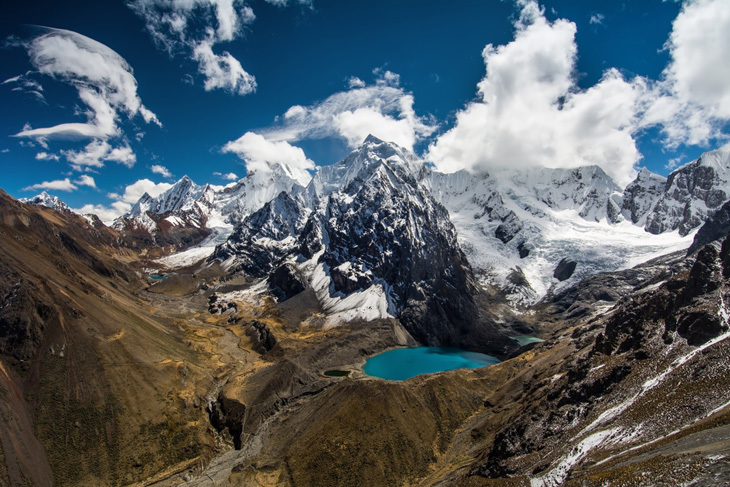 The Cordillera Blanca is abundant in wildlife, rich in culture, and holds some incredible ancient ruins that attract many trekkers. This mountain range is about 180 kilometers long, and with the widest point of 28 kilometers. The highest peak is Huascaran which is 6768 meters, but there are several other peaks over 6000 meters. Considering all these facts, it’s no surprise that people want to explore it. After all, it holds some of the most beautiful sceneries ever. In this circuit, you will see many of the popular Peruvian peaks, lakes, and rivers. 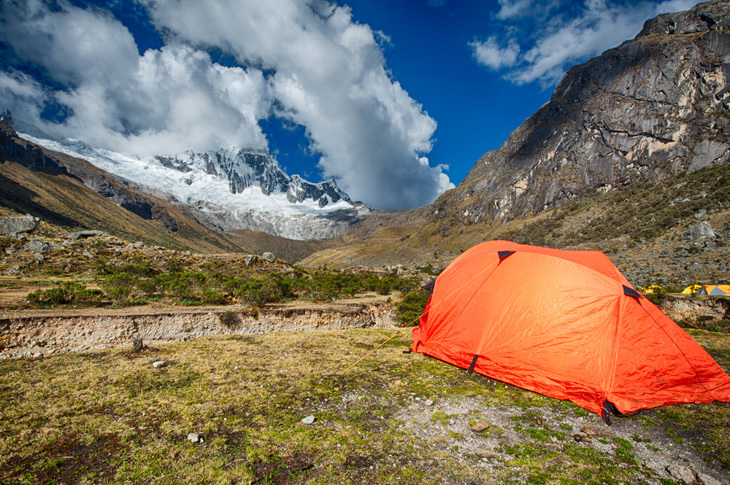 You will be camping near the mountains, see some wildlife (particularly birds), and some Andean vegetation. The trail typically starts from Huaraz. On this trek, you will see what was voted as the most beautiful mountain in the world, Alpamayo. During the hike, you will witness beautiful landscapes showcasing the snow-capped mountains, some vibrant green colors of Andean vegetation, and some lakes. It’s a moderate-difficult type of hike which can take about ten days. It’s no wonder why Peru is such a dream place for travelers, especially hikers and mountain climbers. It has so much natural beauty to offer, as well as history and culture. There is so much more beyond what this list gives, but we’ll leave it up to you to discover. Share your stories and experiences below. We’d love to hear them! This post was written by Louise. 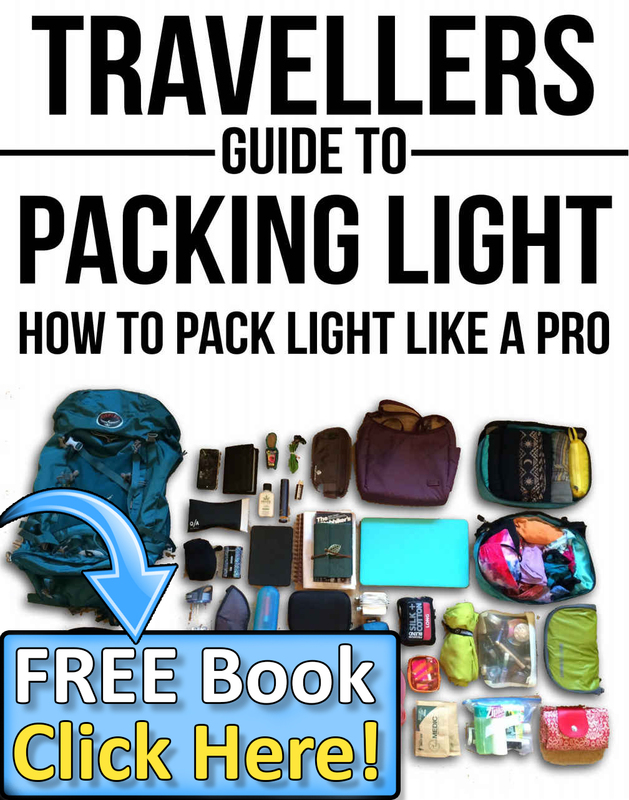 She is the founder of TheAdventureLand.com, where she and her associates blog about Outdoor experiences, tips & tricks that will help you have an exciting adventure. She is also a tour guide of travel company where she learned many things about wilderness. “Let’s pack our bags and explore the world!”. 2 Comments on "Top 5 Stunning Places To Go Hiking in Peru"
Wow! Great and amazing places to explore!! There are still so many amazing places in Peru that I haven’t been!